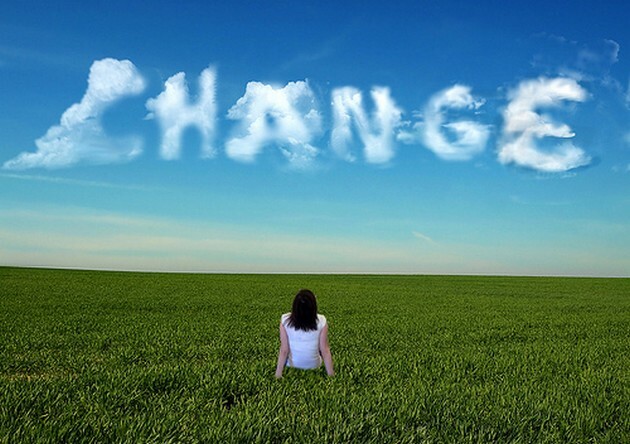 If you are anything like me, you have resolved to change something in your life and then failed after 2-3 weeks. Although it has taken me some time to change my habits, I am not afraid of change, simply because I have developed what some call the “change muscle”. Our change muscle is like any other muscle; it tends to be weak at first, but we can build it up with practice. I have failed as many times as I have succeeded with change. But I have tried again and again, and that has led me to accomplish things I never thought possible. But I’ve learned in the years since that the change muscle is like other muscles: they might be weak at first, but you get stronger with regular training. As a musician, I build up endurance little by little. When I want to play a higher note, I can’t just practice that note over and over; I’ll bust a vein in my head! I start with lower notes and build up slowly over time until I have the strength and ease in the upper register. Our change muscle works the same way. How to get used to change. Start small. If you try and do too much too soon you will quit in a few weeks. If you go slowly and work in small chunks you will be more likely to stick with a new habit. Start with one change, just 5 minutes a day. You will want to do more, but if you do more, you’re much more likely to fail in the long run. Be consistent. I have been to the gym 5 days a week for 2 weeks, then took a month off. This got me nowhere fast. You have to do things regularly to see progress. Do something daily for just 5 minutes and you’ll get better at it. Don’t start big, then fail after 1-2 weeks, then start again later. Regular repetition is key. Achieve with a little struggle. If you don’t struggle a little, you won’t grow. But if you struggle without success, you will quit. Increase whatever you set out to do by 5 minutes each week — so 5 minutes a day the first week, then 10 minutes a day the second week, etc. Don’t forget to rest. Most people don’t understand that strength is built by resting. We train, then rest, and we grow. Pick one aspect of your life to change and focus on that, but don’t forget to allow for days off. Stay motivated. Aside from rest, fuel is one of the most overlooked aspects of muscle growth. What fuels the growth of the change muscle? Motivation. Find as many ways to motivate yourself as possible. The more, the better. Most people underfuel their change muscle. Choose a really easy change you can do in 5 minutes. Want to declutter? Clean for 5 minutes. Jog or swim? 5 minutes. Focus on having fun. If you enjoy it, of course you’ll want to keep doing it. You will not stick with a new habit for long if you are doing it for the wrong reasons (i.e. to “look good” or to “impress others”). Focus on doing things daily. Do it daily, at the same time every day. Cross days out on a calendar and keep the X’s going! Focus on one change at a time, even if you have to cut back on other things. Fuel your change with as much motivation as possible. Gradually add time to your change each week. You’ll be amazed at how much progress you make over time! This is not about discipline, this is about training our minds, and thus our bahavior. Work on mastering the art of behavior change and you can do anything!